In this highlight, we turn our attention to news journalist/news anchor Johnson. 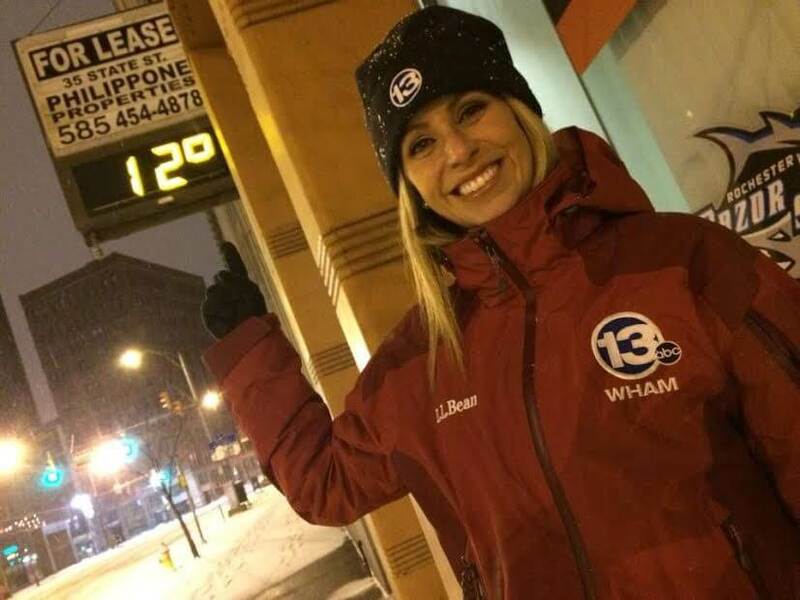 I first met Jennifer a year ago at the 13 Wham ABC/Fox Rochester News Studio in a promotion for Dark Justice Show (Darkjusticeshow.com) and was impressed by her ability to juggle warmth with professionalism. Jennifer is equipped with class, knowledge of a variety of topics and an ability to make you feel as if your family. These qualities stand out in a quality journalist and Jennifer proves this time and time again. I asked Jennifer a series of questions. Here are her responses. I grew up in the very New England town of Harvard, MA. I was just back there to show my kids our house and the different trees we climbed — often in our church clothes which made my mom so mad. 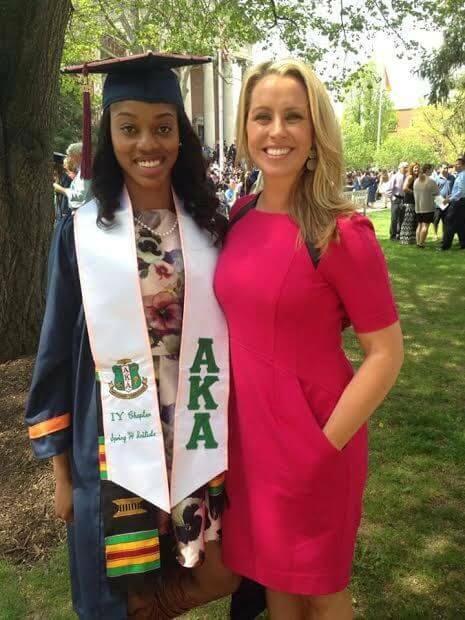 I went to Syracuse University for college, specifically the Newhouse School of Public Communications. The story I became a journalist to tell came in 2006. It was a news conference in Washington DC to kick-off an awareness campaign about Chronic Fatigue Syndrome. I was sick with CFS for five years beginning at age 16. I went from being a three-sport varsity athlete to being so sick I had to be tutored at home for my junior and senior years of high school. Researchers say CFS patients experience a level of disability equal to those going through chemotherapy, have advanced stage AIDS or Muscular Dystrophy, but for years the public had little sympathy for CFS patients. A 1994 Boston Globe article about my battle helped take away some of the stigma. It was one of the first main stream media articles about the illness. Seeing how information lead to understanding and tolerance in that situation made me want to be a journalist. A story I did about a young man in the Rochester area who is struggling with CFS has been published internationally and is often used by CFS advocacy groups. Halfway through my pregnancy with our 2nd daughter we found out she had major medical issues. She was given a 20% chance to survive after birth. I didn’t know if I should be preparing for a huge medical battle of surgeries and months in the hospital with her or for her funeral. Grace was born in the fall of 2013. She was perfect on the outside but a congenital diaphragmatic hernia (CDH) caused major internal issues. Looking at X-rays there was no explanation for how she was alive. She endured 3 surgeries in her first 9 days of life including a week on a heart-lung bypass machine. We almost lost her many times. She was such a fighter! The joy of getting to bring her home after 72 days in the NICU was incredible! And to finally have both of my kids under one roof was a relief. But there was a new kind of pressure. She was on oxygen and a feeding tube and had a demanding schedule of medicine around the clock. It required a lot of teamwork between my husband, myself and eventually some in-home nurses. It was a small price to pay though for getting to experience the joy of this little girl. For so long I didn’t allow myself to dream long term for her. But she had overcome so much and I became to imagine life without so much needed medical support. Hearing she needed a 5th surgery was tough but we didn’t expect to lose her. There were complications after surgery. We watched as they successfully saved her twice that February night in 2013 but the 3rd time proved too much. These last moments have haunted me for a long time. Grief can be crippling. PTSD compounded that. Many days are good as, despite loss, I still feel so lucky to have been her mom and to get to know her for almost 17 months. She changed me for the better in countless ways. From time to time though the pain of loss wins. You asked when have I “faced adversity/conflict and triumphed?” I think as a grieving parent the triumph is getting up every day and facing life without the child you’ve lost. 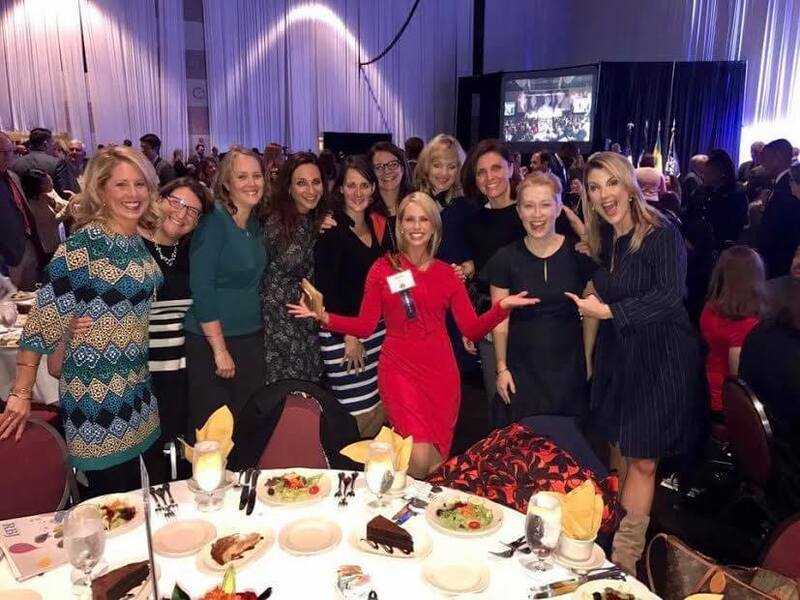 The beauty of a newsroom is that each person there brings different strengths and perspectives. A strength on one story may be a weakness on another. On emotionally sensitive stories, I am not pushy. I’m just not wired that way. Maybe that means I have lost out on telling some stories that other journalist have successfully told. Other times the interview subjects tell me they appreciate my approach and that’s why they’ve decided to trust me with sharing their story. I also hear from viewers who are fighting their own emotional battles. They tell me getting up each day is tough. But they also share that they’ve taken note of my struggles and when they see me on TV each morning, it motivates them to get up and face the day too. I can’t tell you how much these stories motivate me to get out of bed when the alarm clock goes off. I’ve really enjoyed running the past few years. 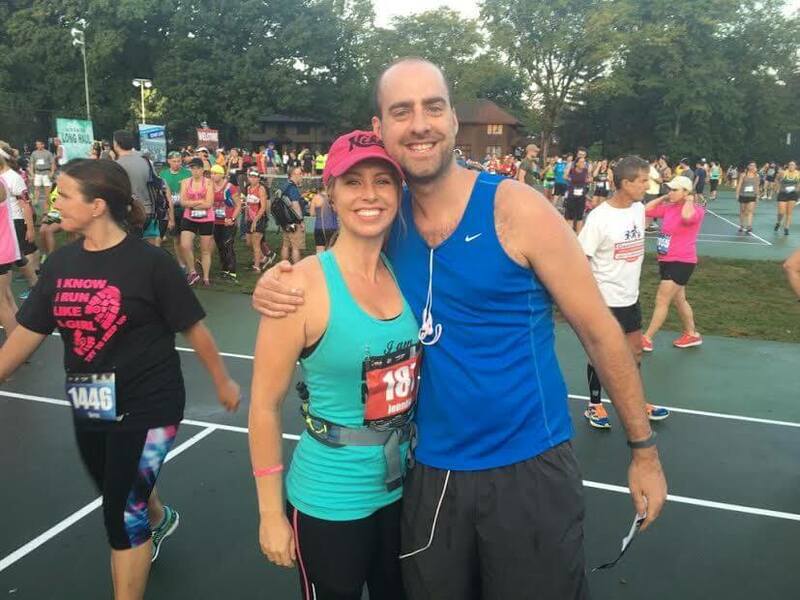 I’ve done 2 marathons now. I started working out with Molly at M/Body last fall and doing boxing with Saadiq there — it’s awesome. My biggest hobby is family time. I have a really awesome husband and my 2 girls (plus Grace in heaven) are my world. Our community is filled with fascinating people — young and old. I’m working on sharing a few of these stories now. It’s a slower process as I also anchor four hours of live TV a day which takes up a lot of my focus. I’m grateful that I’ve been able to tell a lot of stories about Golisano Children’s Hospital through my work at 13WHAM. It’s a place very close to my heart as that’s where Grace was treated. After visiting and consulting with hospitals around the country before she was born, we were surprised and thrilled our local hospital had what we needed for such a complicated case. Our 13WHAM viewers have really rallied around the cause. 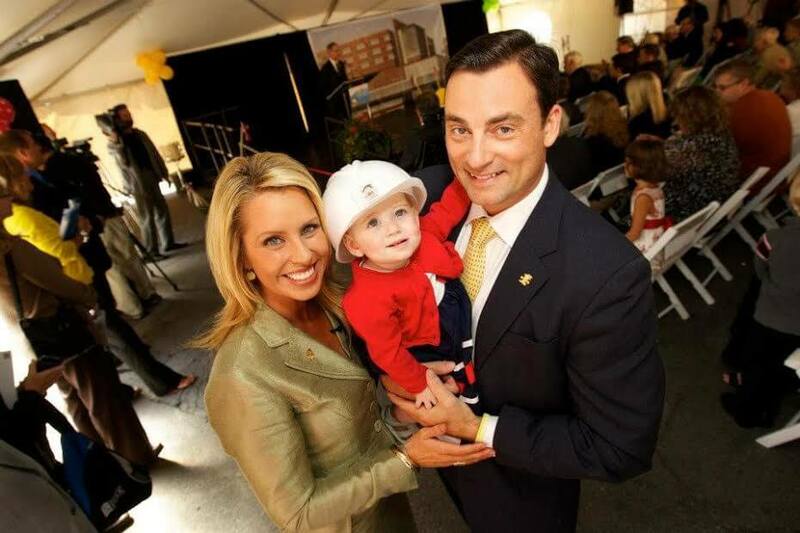 We’ve been able to raise $100,000 for a NICU room in Grace’s name at the new hospital and $350,000 for a healing garden there called Grace’s Garden. The new hospital opened in 2015 but the construction continues (we’re getting closer to moving the PICU and pediatric surgery into the new hospital) so the fundraising for it does as well. 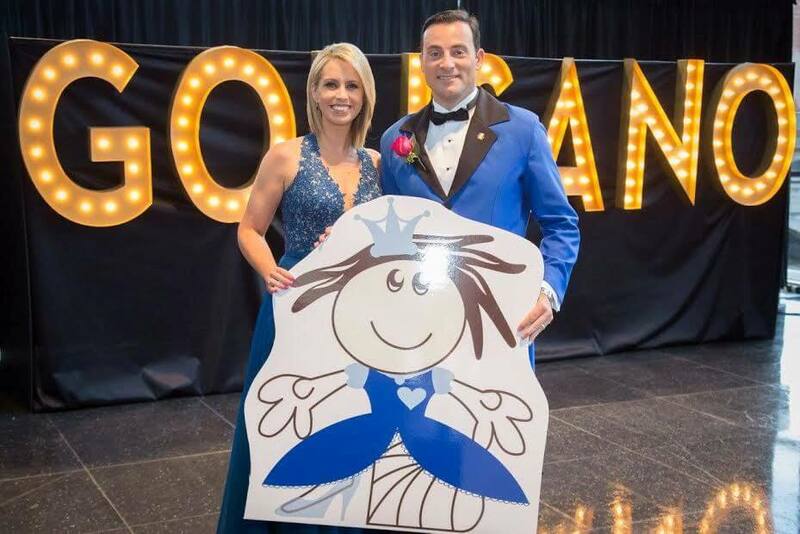 My husband and I were thrilled to be the honorary chairs of the Children’s Hospital Gala last fall. 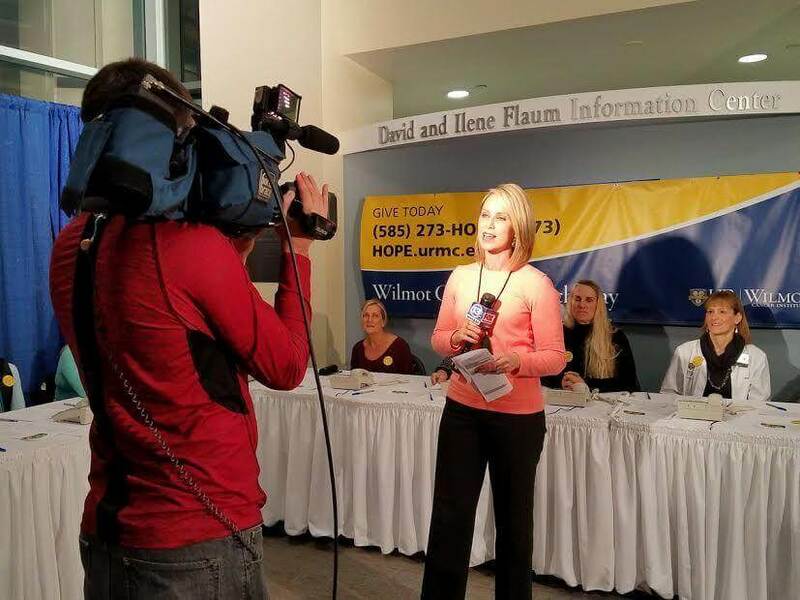 The fundraising folks say the impact of our work through the TV station plus the speeches my husband and I have made and the fundraisers we’ve been a part of adds up to roughly $3 million for the hospital. Good question. First — continuing to be a wife and mom. My husband motivates me so much. Our kids have me wrapped around their finger. It’s fascinating to watch them grow and become their own people. Beyond that – hard to say. I could not have predicted the last five years. It has changed me in so many ways. I’m proud of what we have accomplished in Grace’s name. I hope I can continue to make a positive impact in her name and continue to be part of other projects making positive impacts in our community. Curious to see all the ways that will be possible in the future. Be yourself. If you are doing a TV report, pretend you are giving that report to your mom. What words would you chose to use? They might be different words than I would chose to use. As long as your story is factually correct and easily understandable – that’s okay. It’s telling the story in your voice… and your voice is powerful.